Elizabeth Davis EAD & Associates, LLC New York, NY Elizabeth Davis is an emergency management consultant specializing in Special Needs planning and related issues through her firm EAD & Associates, LLC in New York. Ms. Davis received her JD from Boston University School of Law and her Ed.M. from Boston University School of Education with a degree in the Socio-Bicultural Study of Deafness and American Sign Language. She holds an undergraduate degree with a major in Sociology and a minor in Political Science from Barnard College at Columbia University. After many years as an advocate in the disability community, she began public service after law school with the NYC Mayor's Office for People with Disabilities as Assistant to Counsel and Senior Policy Advisor. Due to her role as Incident Commander in the Deaf Mexican Nationals slave-ring case in Queens, she was transferred to the NYC Office of Emergency Management as Special Needs Advisor. There she was responsible for ensuring that all elements of planning, response and recovery incorporated the unique needs of the disability community, senior population, and medically dependent persons. She functioned in this capacity throughout the events of September 11. Ms. Davis now consults for public jurisdictions, private businesses, home based care agencies, residential health care organizations, and is directing the National Organization on Disability's new Emergency Preparedness Initiative, to list a few projects. She is also an advisor to FEMA, sits on several national advisory boards, and has had materials published on the subject of Special Needs emergency preparedness. Ms. Davis grew up in San Francisco but now resides in Brooklyn with her husband and two young daughters. 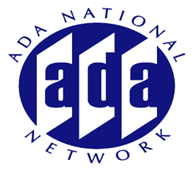 12/14/2004 - Emergency Preparedness for People with Disabilities: Have we made progress?